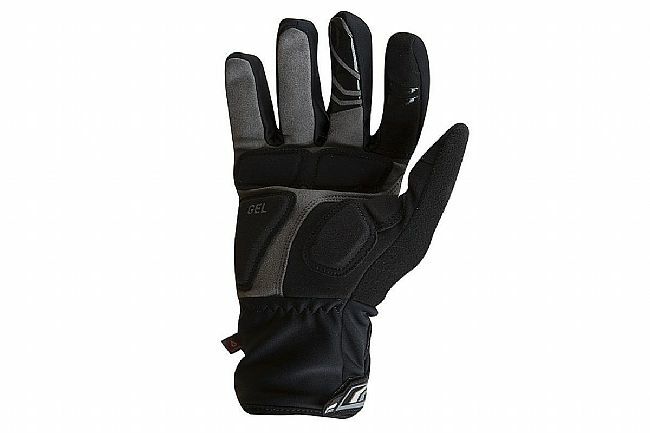 The Pearl Izumi Men's Elite Softshell Glove uses a three-layer construction featuring an ELITE Softshell outer, 100 g Primaloft® Gold insulation, and a soft fleece liner for windproof, water-resistant warmth in the winter months. 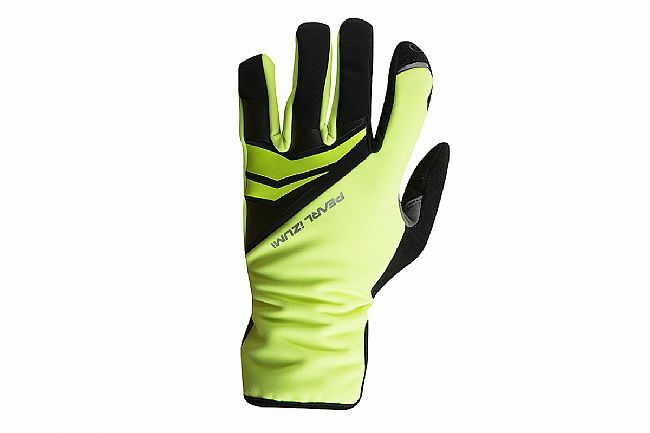 A 1:1 fit with gel padding means excellent dexterity and comfort, and synthetic leather is located on the palm for superior durability. 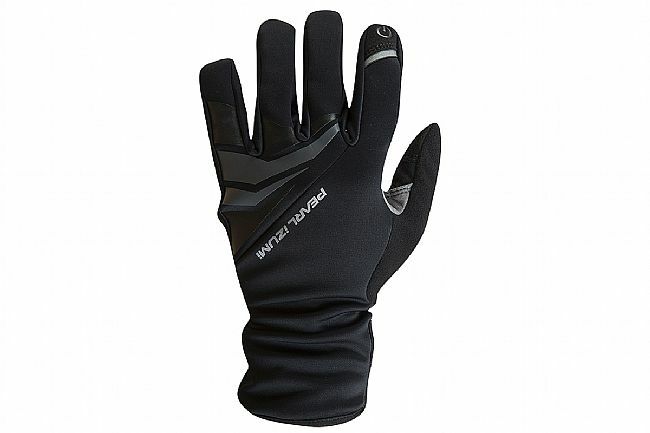 The index finger and thumb are conductive for use with touchscreens on smart devices, and the long cuff lets this glove fit both under or over the sleeves on a jacket or full-length jersey.